It's only 1:50-scale but, still, it can't fail to impress: this week, a new model of the Tokamak arrived at ITER Headquarters after a long voyage from the manufacturing shop of See & See Power Tech in Seoul, Korea. See & See has years of experience in manufacturing scale models for nuclear facilities, including Korea's superconducting tokamak KSTAR. 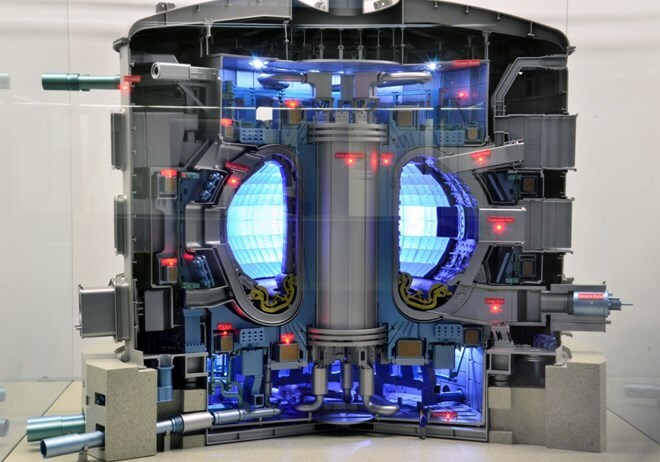 That experience came in handy when the company was faced with the task of converting ITER files—a comprehensive dataset describing the millions of pieces that form the ITER machine—into a form that could be read by into their 3D-printers and CNC mills to shape out the beautiful mockup that is now on stage at the ITER Headquarters.